Find the best of Walmart promo codes, coupons, online deals and in store sales. Walmart offers 33 great coupons in Toys & Games,Automotive,Bed & Bath,Clothing & Apparel,Electronics,Entertainment. Today's best coupon is (Save $1.00 on any two OFF!® products (excludes two oz. and 2.5 oz. OFF® products). ), get it Now. Save $1.00 on any two OFF!® products (excludes two oz. and 2.5 oz. OFF® products). Printable coupon for $1.00 off. Valid at Walmart or anywhere manufacturer coupons are accepted. See more Off! coupons. women's fashion brand Maurices now at Walmart.com. Get $15 off your first online order of $35 on school supplies. Take $10 off any order of $50+ on Stanley Mechanics Tool Sets with code: Stanley10 at Walmart.com..
Save $0.50 on any one Windex® product. Print this coupon for $0.50 off. Valid at Walmart or anywhere manufacturer coupons are accepted. See more Windex coupons. For comments or questions, you can reach Walmart at 1-800-WALMART (925-6278). If you wish to reach them via email, go to Walmart's website and click on "Email Customer Service". With new sales every week in every store department, shoppers can save over an extra 10% off electronics, smartphones, fashion and beauty products, to drugstore items, baby toys and auto parts! For updated information, check out the Weekly Ad to see all in-store offers of the week. For online shopping, you can save a lot of money by checking out Walmart’s Deals of the Day, which will show a new value of the hour for a total of 24 great deals per day in addition to the one best deal of the day. That means at any given time, you can find 2 of the hottest special buys of the day! Don’t like what you see? Check back in an hour to find a new offer. Also, don’t forget about Walmart’s seasonal sales, especially during Black Friday and Cyber Monday! Year after year, they’ve proven to have some of the best Black Friday deals on everything you could imagine. Take those usual rollbacks and specials and add another 20% off in savings, as those are typical holiday savings. Not to mention, you can cash in on their price match guarantee for anything you find cheaper at stores like Best Buy, Amazon, or Target. You can also save an extra 10-20% off with their pickup discount. Place orders online at Walmart.com and pick it up in-store for free, in as fast as one hour. Never miss a single Walmart coupon code, doorbuster deal, or in-store offer. 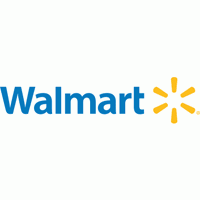 Subscribe to Walmart coupon alerts via our site here to stay updated. Walmart offers free shipping on orders of $50 or more. Most things are eligible for free Site to Store pickup at a local Walmart retail store. Walmart's free two-day shipping for orders $35 and up is available on items customers shop the most, including household essentials such as baby necessities, pet products, food, like cereal and peanut butter, cleaning supplies and beauty favorites, as well as top electronics and toys. Items can be returned within 90 days of receiving the item. Items purchased on Walmart.com may be returned either to a store or by mail, unless stated otherwise in the list of exceptions. However, items purchased from dealers or resellers and not Walmart.com directly are not eligible for return, refund, or exchange. These Walmart coupons will slash Walmart's already low prices—a challenge that the company as gladly accepted ever since it was founded by its namesake, Sam Walton, in 1945. A savvy business man, Walton's goal was to purchase products at a higher volume so he could sell them at lower prices and pass the savings along to his customers. This sounds like a no brainer today, but back then Walton experienced his fair share of setbacks. But he persevered and expanded his company to 24 stores within the first five years. Today, Walmart is a multinational company synonymous with low prices. And these Walmart coupons from our site Coupons only strengthen that connection. Interested in learning what Walmart product you can find a discount on right now? Then check out our site's most recent stash of Walmart coupons to see one deal after another. Walmart promo codes and coupons exist for both online and in-store savings. Browse our site to see what Walmart deals exist on electronics, toys, apparel, household items, and more. Get an even better deal by checking out the Walmart Value of the Day, which offers up to 60% off a desirable item. Clearance sales are another great way to save money at Walmart. For the biggest discounts of the year, be sure to shop Black Friday and Cyber Monday. They will have door buster sales that you don't want to miss.